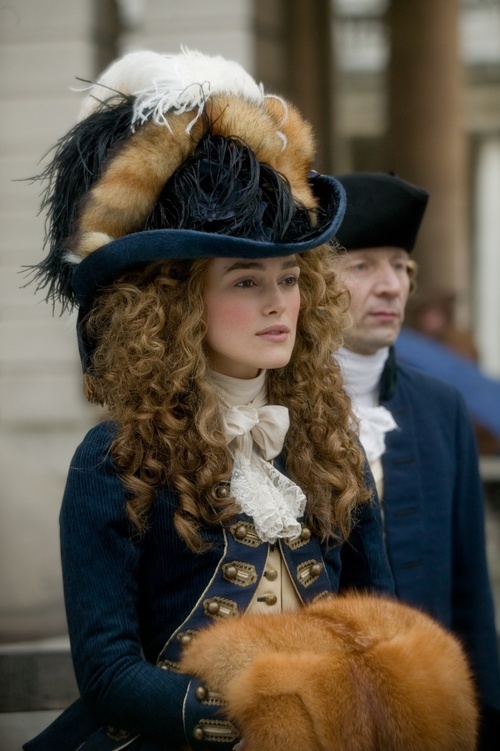 In my last post, I explored how The Duchess (2008, dir. Saul Dibb) translated Amanda Foreman’s 1998 biography Georgiana, Duchess of Devonshire from a historical biography to a historical drama. The previous post focused on what the film chose to include from the book, which was mostly the details of her rather unconventional marriage to William Cavendish and her ill-fated affair with Charles Grey. However, the film removes some very important facets of Georgiana’s life entirely, excising more than half of Foreman’s narrative. Georgiana’s romantic life is, in my opinion, in many ways the least interesting part of her life story. When Georgiana married Duke William, she instantly became one of the most socially prominent women in British society. Fortunately for her, her natural social gifts allowed her to adapt to that position, and she quickly became perhaps the leader of the London ton, the glamorous people of the day. She was charming and gracious and good at putting people at ease. When Georgiana adopted an ostrich feather worn in the front of her forehead, it instantly became an in-demand fashion accessory, despite being rare and extremely expensive. 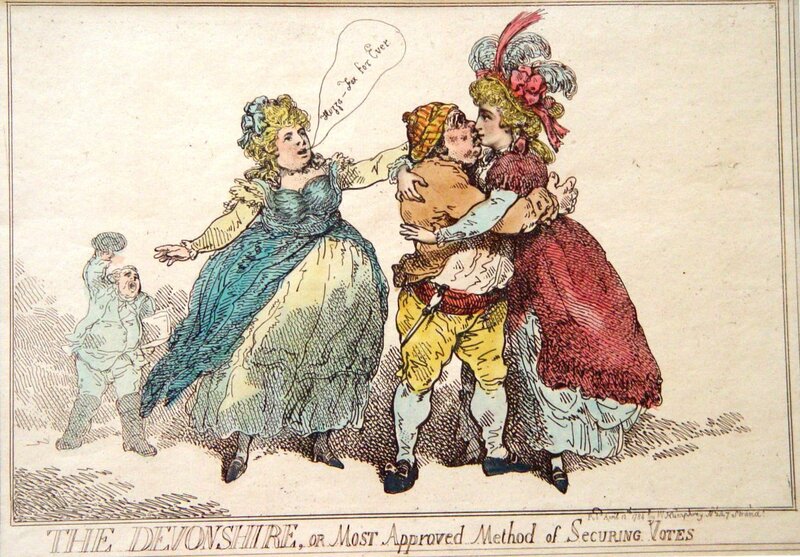 When she posed for a painting in a wide-brimmed hat with drooping feathers, the Devonshire ‘picture hat’ was immediately in demand across the country. 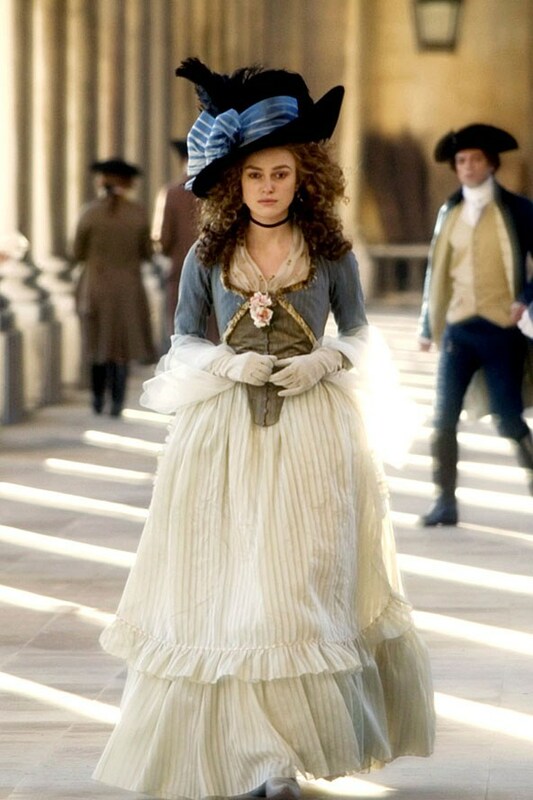 The film explores this, but more in the attention it pays to Georgiana’s (Keira Knightley) clothing than through any dialog. She is routinely shown in different outfits, some of them quite striking visually, but none of them include the towering hairdos with decorations. So the film essentially elides Georgiana’s role as a fashion leader and leaves it to the viewer to recognize that her fashion sense was remarkable. It’s clear from Foreman’s book that Georgiana, like many of her contemporaries (including her own mother) was addicted to gambling. On some occasions, Georgiana actually turned Devonshire House, her London residence, into a casino. She could stay up very late playing cards in what to modern eyes looks very much like a compulsive habit. The film does show gambling in several scenes, but there is little sense that Georgiana had a gambling problem. The historic Georgiana also shows signs of alcoholism and perhaps a mild addiction to laudanum. Foreman goes so far as suggest that her late nights, constant drinking, and drug use may have been the reason for her miscarriages. This is the most elaborate her hairdos get in the film. Not bad, but not quite Georgiana. One of the central themes of Foreman’s book is how much Georgiana struggled with money. She enjoyed a remarkable income by the standards of her day; at a time when a gentleman could live comfortably on £300 a year, Georgiana’s allowance was about £2000 a year. However, her tastes in fashion, her lavish parties, and her gambling habit meant that she was perpetually short of money. She feared telling the duke just how badly she was in debt, and instead evaded and flat-out lied to him about the size of her debts. At one point, William agreed to cover her debts, assuming them to be perhaps £1000-2000; he was shocked when she confessed to owing £6000, and in fact the real total was considerably higher than that. Throughout her late 20s and 30s, Georgiana was constantly borrowing money from anyone who would loan to her, signing promissory notes to various craftsmen and bankers, and making the gambler’s fallacy of trying to win back money she had lost, only to get further into debt when she lost again. This seedier side of Georgiana is entirely absent from the film. The only time that money is discussed at all is when the duke pays her a bonus for the birth of their only son, an entirely fabricated detail designed to further the vilification of the duke. She is once shown drunk and passing out at a party, after being raped by the duke, but the suggestion is that these things were a temporary response to what the duke has done, not an issue that may have plagued her much of her adult life. Omitting these details seems largely intended to preserve Georgiana’s character as a victim of circumstances for the viewer. It is hard to empathize with this facet of the real Georgiana’s character, unless you’ve struggled with compulsive spending or gambling, perhaps, but it is also a flaw that makes her more human; stripping it out makes her more sympathetic, but less a real person. Georgiana’s social importance meant that she was a magnet for criticism both gentle and harsh. The most famous piece of satire directed at her is Richard Brinsley Sheridan’s School for Scandal, in which she is Lady Teazle, the young, spendthrift wife of Sir Peter Teazle. Sheridan was, in fact, a friend of hers, but Foreman feels that his satire probably cut a little too close to home for her, given her constant fears about her spending. All of that is interesting, but it doesn’t really address why Georgiana matters historically, except perhaps as a footnote to fashion history. Georgiana’s husband belonged to the Whigs, one of the two major political factions of the day. As a result, when Georgiana became the leader of London social world, she also effectively became a central figure among the Whigs. The wives of 18th century noblemen were almost automatically political hostesses, but Georgiana forged close relationships with a number of the Whig party’s leading figures, including Charles Fox, Sheridan (who was a politician as well as a playwright), Charles Grey, and Prince George (the future George IV); developed her own political opinions; and gradually emerged as one of the dominant figures in the party, despite having no formal office. Indeed, she was probably a greater influence on the Whigs than her husband was, despite his being a member of the House of Lords. The Whigs were essentially the anti-royalist party. They saw themselves as the guardians of traditional English liberty against what they saw as the Crown’s autocratic efforts to control the government, and they championed religious toleration for non-Anglicans (particularly Catholics, who had few political rights at the time). 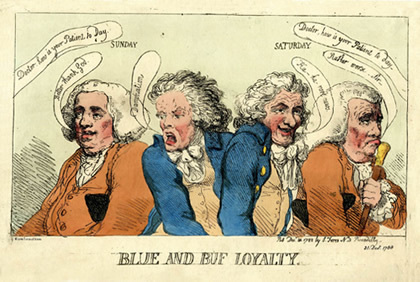 The Whigs had dominated English politics for much of the early 18th century, but when George III came to the throne in 1760, he quickly began to support the Tories, who championed royal power and conservative Anglicanism. This forced the Whigs into opposition, a rather unfamiliar situation for them, and for much of Georgiana’s lifetime they struggled to develop the organizational unity that could lead them back into power. 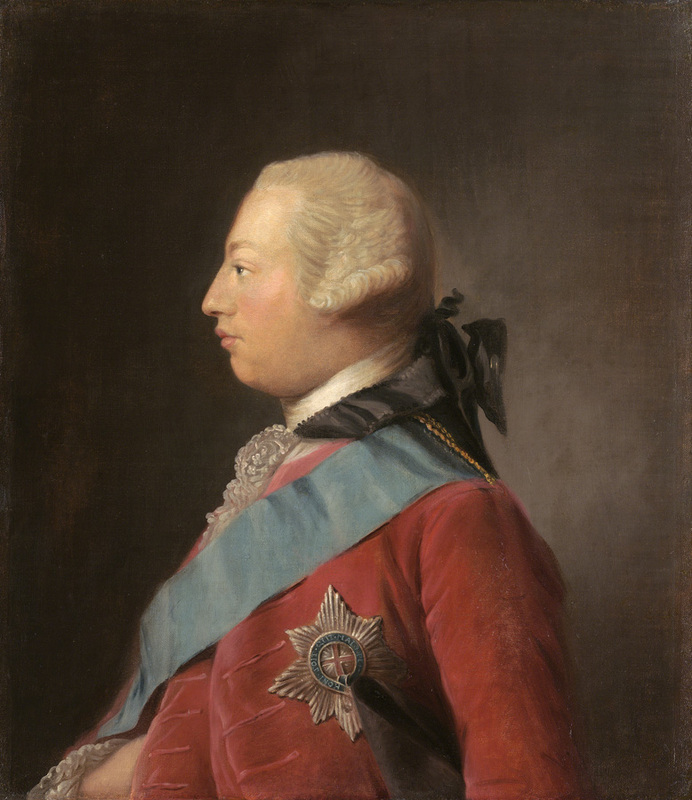 The Hanoverian dynasty had a deep-seated tradition of mutual loathing between father and son, so when George III threw his support to the Tories, his son Prince George quickly gravitated toward the Whigs (which protected the Whigs against charges of being opposed to the monarchy itself). 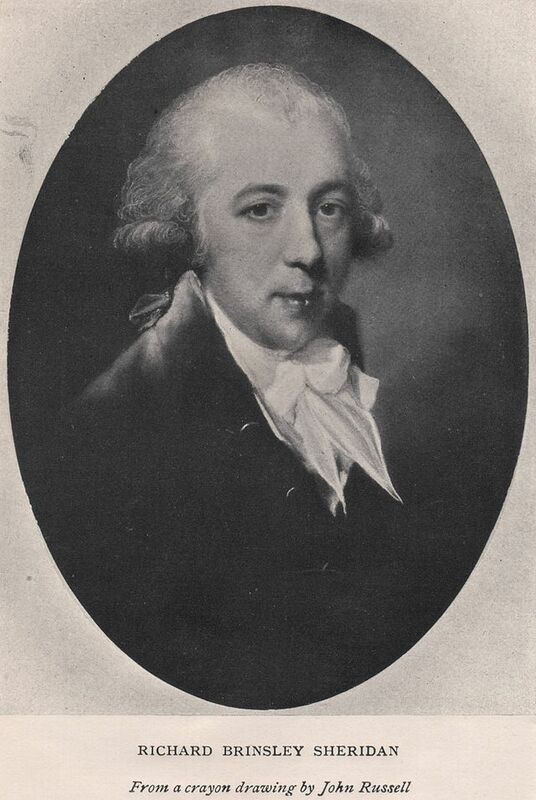 In 1780, Richard Sheridan decided to pursue a seat in Parliament. Lacking the finances that political candidates traditionally needed, he adopted a novel strategy of asking the Duchess of Devonshire to use her high public stature to draw attention to him. Charles Fox, one of the Whig leaders, went further and invited Georgiana to appear with him at a campaign rally. This was an incredibly bold move in a society in which politics were the prerogative of men, and the press remarked on it. Fox was a powerful orator and won the election easily, as did Sheridan, and the Whigs had learned a lesson; the Duchess of Devonshire was a powerful political weapon. 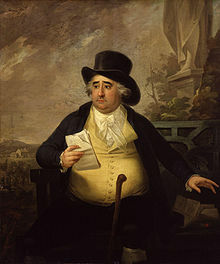 In 1782, the Tory Prime Minister Lord North resigned after the British loss in the American War of Independence, and George III reluctantly invited the Whigs to form a coalition with another Tory leader, so Fox became Foreign Minister. According to the rules in operation at the time, this required Fox to stand for immediate re-election to confirm that his constituents wanted him. Fox turned to Georgiana again, and asked her to not simply appear on his behalf, but to lead a formal female delegation during the campaign. The election campaign was a great success, and Fox remained in his ministry for the next two years. In 1784, however, George III and William Pitt the Younger formed a conspiracy of sorts to pull down Fox’ coalition and nominated Pitt for Prime Minister, at 24, the youngest man ever tapped for the office. Fox was able to block Pitt’s nomination and the king dissolved Parliament. In the ensuing election, Pitt won a handy majority, forcing the Whigs back into opposition. During this electoral rout, Fox’ seat of Westminster was fiercely contested, with a very real possibility that Fox could be ousted from Parliament entirely. In the ensuing campaign, Georgiana canvassed aggressively on Fox’ behalf, and the most lively portion of Foreman’s book is her description of the campaign. The polling period lasted a full six weeks, and Georgiana and several other Whig ladies worked tirelessly to persuade residents of Westminister to vote for Fox. They paraded through the streets, paid personal visits to shops and private houses, and occasionally let voters ride in their personal coaches to get to the polls. Georgiana was reputed to have caressed and even kissed men to win votes. In one unfortunate incident, she was reported to have gone into a house to debate with several drunken supporters of one of Fox’ opponents, who would not let her leave until she had kissed every man present. The press found particular amusement in the fact that she had several times to walk down a street with a number of notorious brothels on it. Pitt’s supporters made much of these claims, and embellished them further. She was accused of granting sexual favors in return for votes, and rumors circulated that she and Fox were lovers (a charge that Foreman acknowledges can not be either proven or disproven). The whole thing was exhausting for Georgiana, emotionally and physically, and two weeks into the campaign, she left London to recuperate. But the Whigs, particularly the duke’s brothers, begged her to return, saying that her absence was being taken as a sign that she no longer supported Fox and causing a drop in his polling. Less than a week later, she returned to the campaign. Her absence had clearly had an impact on the voting, and her return reversed Fox’ slide; Fox eked out a win by less than 250 votes out of more than 18,000. In all of this, it is clear that Georgiana’s unique gifts were key to her influence. Her high status and popular acclaim meant that people paid attention everywhere she went. Her ability to put people at ease extended all the way to tradesmen and their wives; she had recently given birth to her first child, and so could talk with women about the challenges of caring for babies. Her economic clout with clothiers enabled her to sway many tradesmen simply by promising to purchase their products or, more darkly, threatening to blacklist them. Since anything Georgiana wore in public immediately came into general demand, a promise to buy a hat or muff carried real value. And Georgiana understood the political issues well enough to debate them intelligently when it came to that. Thanks to Georgiana, the 1780s saw the first emergence of women into British politics in a direct way, and it is not unreasonable to say that she may well be the first female activist in British history. Women directly engaging in polling activities was unprecedented, and she was successful at it. By the 1790s, however, opinion was beginning to swing against such things, and noble women, including Georgiana, were gradually forced back into their more traditional roles as hostesses only. But that did not actually sideline Georgiana as a political figure. Instead, she gradually emerged as one of the party’s strategists and an unofficial ‘whip’. She used her parties and banquets to woo wavering politicians and court those who were undecided. She worked to build bridges between the various fractious figures in the party. Her personal letters and diaries are important historical sources today for what they reveal about internal Whig debates, particularly during the Regency Crisis. In October of 1788, George III suffered a bout of insanity and became incapable of fulfilling his role as monarch. In such a situation, it would be necessary to appoint Prince George as Regent until his father recovered, but it was not clear just how much power he ought to be given, and so a heated debate erupted turning over the question of whether Prince George had an automatic right to assume full power or if Parliament could stipulate the powers he would receive. The Tories, assuming that the king’s madness was temporary, felt that Parliament could specify the grant of powers, while the Whigs, assuming the king’s madness was permanent and that the king was therefore functionally dead, felt that the Prince should have unlimited access to royal power as if he had inherited the throne. This debate turned the normal Whig and Tory positions on their head and confused the whole situation. From the Whig perspective, the whole thing played out like a bad political farce. Fox was out of the country when the Crisis began, and by the time he returned, he had come down with dysentery and could not play his normal leadership role right away. In the vacuum, Sheridan stole a march on him and began representing the Prince, who immediately demanded full authority and made a public show of mocking his father’s illness. 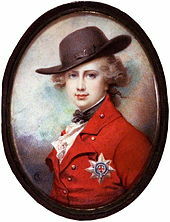 Georgiana’s lover, Charles Grey, was hoping for a high political office, but Sheridan disliked Grey and persuaded the Prince to insult him with a promise of a minor office. When Fox finally got into the fray, he was unable to counter Sheridan’s position with the Prince, and when he appeared in Parliament, he gave a disastrous speech that seemed to repudiate the whole Whig philosophy and opened the Whigs up to charges of rank hypocrisy and power-hunger. Pitt managed to drag the whole affair out until the king began to recover, and the lasting result was the fracturing of the Whigs into squabbling factions who were unable to mount an effective response to the Tories for more than a decade. Georgiana was a die-hard Whig her entire adult life. She was an intelligent politician who wielded considerable influence within her party. Her tragedy, in some ways, is that her allies were beneath her. Fox, for all his importance, was in many ways inept and was much better in opposition than in power. Georgiana believed in him whole-heartedly and was never able to recognize his faults and move beyond him. Sheridan was a weasel with a gift for speech-making and deception that enabled him to cause trouble but not actually solve it. The Prince was a sullen, childish man who let real opportunities slip away because he was too petty to swallow his hatred of his father, although in part his actions were due to a lack of political experience. (Georgiana was a reluctant witness to his illegal and secret marriage to a young Catholic widow, Maria Fitzherbert. As Prince it was illegal to marry without his father’s permission or to marry a Catholic, but George courted total disaster and removal from the line of succession to pursue an infatuation; a decade later he dumped her to marry legally in part because the Crown would pay his massive debts of £600,000 the day he wed. By acting as witness, Georgiana put herself in legal danger to please her friend.) Had Georgiana had better allies to work with, she might have wound up with real influence in the British government instead of influence with the powerless opposition. The Duchess does acknowledge Georgiana’s involvement in politics, but in a very watered-down way. She meets Fox (Simon McBurney) at a banquet and proceeds to debate the virtues of liberty with him (something of a misrepresentation, since Fox’ deepest political principles were religious toleration and opposition to slavery). Similarly she is friends with Sheridan (Aidan McArdle), who is presented as nothing more than a playwright. 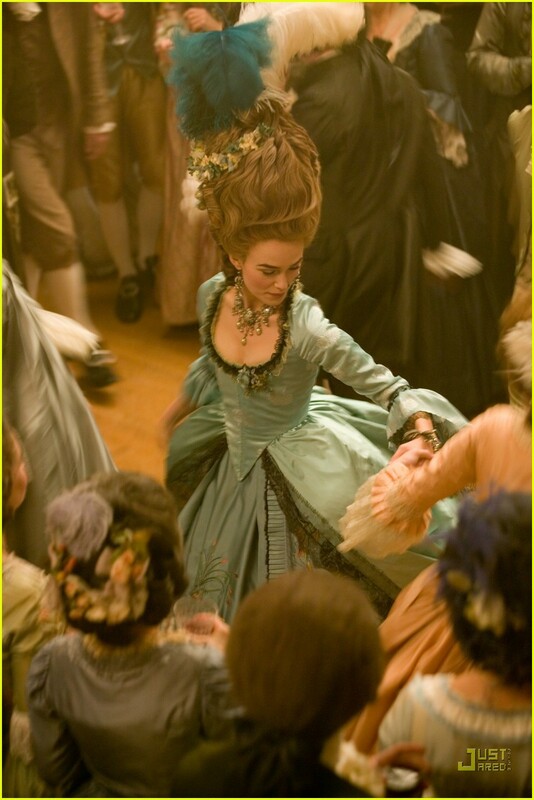 In three or four scenes, she is shown making brief political appearances, because Charles Grey (Dominic Cooper) has asked her to do so, not Fox. There is absolutely no discussion of the political issues of the day, or only the faintest hint that Georgiana is interested in politics for any reason other than her friendships. The raucous campaign of 1784 is receives no particular attention, and there is no suggestion that Georgiana was a key figure among the Whig leadership. On the one hand, the excision of Georgiana’s politics makes some sense, given that the film is focused on her romantic relationships. Explaining 18th century politics to a modern audience would take some work and would detract from the personal relationships that are key to the film. But on the other hand, making a biopic about Georgiana and minimizing her political activities in favor of her troubled marriage does a tremendous disservice to her. It would be like making a biopic about Hillary Clinton and focusing entirely on her relationship with her husband while omitting her legal career or her political activities and then ending the film shortly after the Lewinsky Affair. Technically, the film would be accurate, but it would be giving a very distorted view of who she is and minimizing her historical importance. 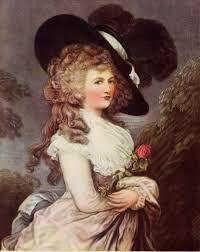 Georgiana Cavendish was an important figure in Britain in the late 18th century. Key events, such as Fox’ re-election and the Regency Crisis would probably have played out quite differently had she not been involved. Had Fox been defeated in 1784, the politics of the following decade would certainly have been altered. In an age in which women participate in politics in a very substantial way, surely there is an audience for a film about an early female political activist? The Duchess also omits other important details that are at least worth mentioning here, such as Georgiana’s close friendship with the ill-fated Marie Antoinette and several other French nobles. The French Revolution was a major event in Georgiana’s life; during her time on the Continent following the birth of Eliza, she had to deal with the dangers of the Revolution. But the film’s only acknowledgement of the Revolution is Grey’s ominous prediction that a revolution is brewing in France. Just as the film has no interest in Georgiana as a politician, it also has no interest in her as an author. Georgiana wrote a number of surviving poems, as well as two short novels, one of which, The Sylph, she published anonymously to some acclaim. She also wrote a couple of travel narratives later in her life. She frequently invited authors to her parties, Sheridan being only the most notable. In later life, Georgiana was also an amateur scientist, being particularly interested in geology. Her brother-in-law Henry Cavendish was a noted chemist, and she worked with Thomas Beddoes, a prominent physician, to establish a brief-lived scientific institute, chiefly noted for its work with nitrous oxide. In all these fields, Georgiana’s accomplishments were minor. None of her writings have deep literary significance, and she herself was not a real scientist. But they demonstrate that Georgiana was woman of complex interests that went well beyond fashion and romance. 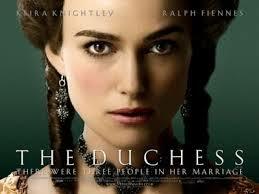 All in all, The Duchess is a good film, but ultimately unsatisfying. The performances are uniformly strong; Ralph Fiennes does an excellent job bringing just enough humanity to a rather unlikable man. The film is gorgeously shot, and the costuming does a good job of suggesting the fashions of the time, even if the film doesn’t really explore Georgiana’s influence on fashion. It does at least acknowledge her involvement in politics. But both through its omissions and through its distortions, I think the film fails to capture the true Georgiana. It takes a complex and historically important woman and largely reduces her to the victim of an unfortunate marriage. Both Georgiana and the film’s audience deserved a more complex portrait than it delivers. The Duchess is available in a variety of formats on Amazon. As I noted, it’s based on Amanda Foreman’s Georgiana: Duchess of Devonshire, which won the Whitbread Prize and is extremely readable, drawing quite heavily from the duchess’ surviving letters. I found reading the book after watching the film quite eye-opening about Hollywood’s ability to make fabrication seem like historical truth. Georgiana’s most important literary work, The Sylph (European Classics) is available. It’s perhaps most useful as a window into the British aristocracy of the period. It’s an epistolary novel, a fairly obscure genre today but quite popular in the 18th century in which a story is told through a series of letters. Thankyou for your exceptional analysis and comprehensive contextualisation of this film. Now I wish they had made the real story instead. It’s a common problem on my blog, unfortunately.